Does M. S. Bickford Make Rule Joint Planes? Throughout the many years I’ve been making/selling planes I have seen several common requests go in and out of fashion. Some months I get numerous requests for moving fillesters. On other occasions my time is spent responding to the wave of those that suddenly want tongue and grooves, 3/8” side beads, panel raisers, skewed rabbets, etc. 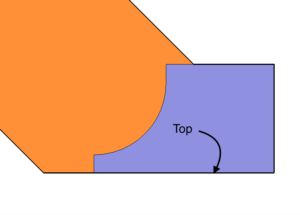 The joint allows a table to be extended easily while decorating the seam with a common moulding profile: a square ovolo with fillets. 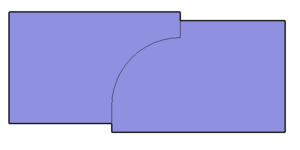 A rule joint is comprised of two sides. 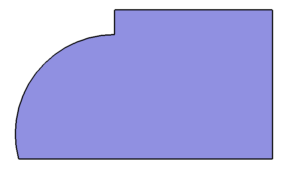 The primary side is the top, which is a square ovolo with fillet that is ideally more than 90 degrees of a circle. 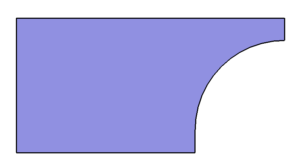 The second half is a square cove, ideally with a slight flat at the bottom. All of this allows the joint to be opened and closed seamlessly, without seeing any voids. 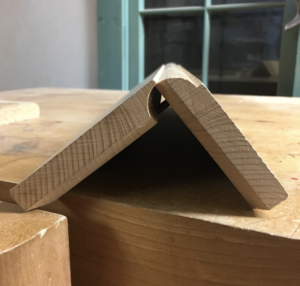 At first glance you may conclude that these profiles are easily executed with simple dedicated planes because they are simple, specific profiles. To some degree you are correct, each portion could be made with these planes. 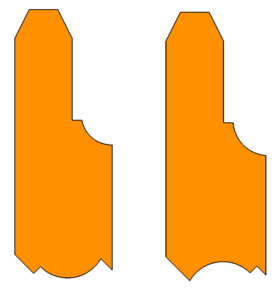 The issue with this process is getting the two profiles to align perfectly because the depth stops of common dedicated planes will register upon different faces of the table’s top. 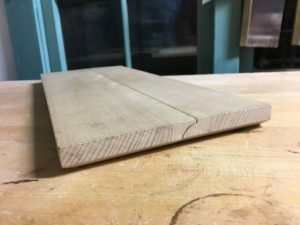 This is fine if the thickness of the pieces being worked is exactly the width for which the planes were designed: no more, no less. This fact is, however, an issue once any slight change in stock is worked. 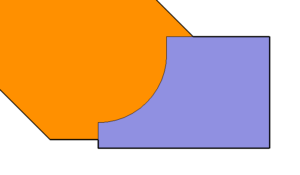 The slight change will result in a joint that does not align. The profiles above do not match. 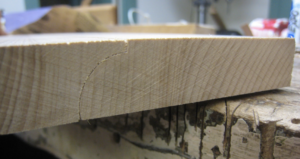 In fact, any material that isn’t exactly thicknessed for the planes’ design will not match. Thus, common, sprung, dedicated planes will not work for this joint. 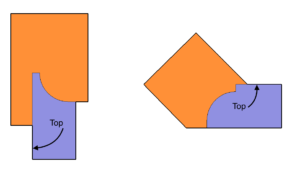 Let us take a closer look at rule joint planes while acknowledging the one truth I’ve illustrated above: the two planes must register upon the same face. 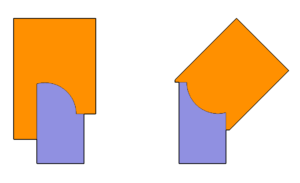 Rule joints and rule joint planes are perfect examples of where hollows and rounds excel. 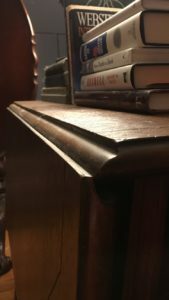 I wrote a blog post on the actual steps years ago. It can be found here. 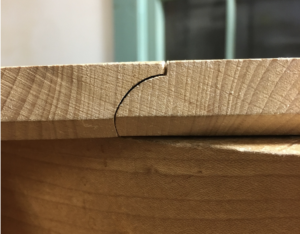 A rule joint is a perfect place to begin for somebody interested in introducing hollows and rounds into their work. The two portions of this joint are elementary and may be perfected in two or three attempts. 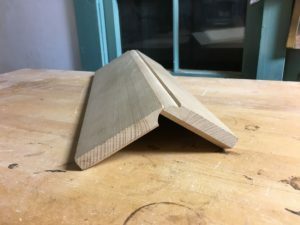 In fact, I teach classes on using these planes and the two profiles included in the rule joint are only the third and fourth in a weekend spent using profiled planes excessively. 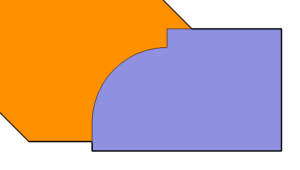 Make a rule joint with hollows and rounds knowing the whole time that these two profiles are only a portion of what may be done with a single pair. In short, I don’t make rule joint planes because I don’t want my name on the nonfunctioning tools in your workshop. 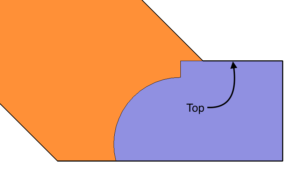 Make the joint with hollows and rounds and then use the same tools to do much more.